Apple introduced Raise to Speak as part of a raft of updates in watchOS 5 last year. 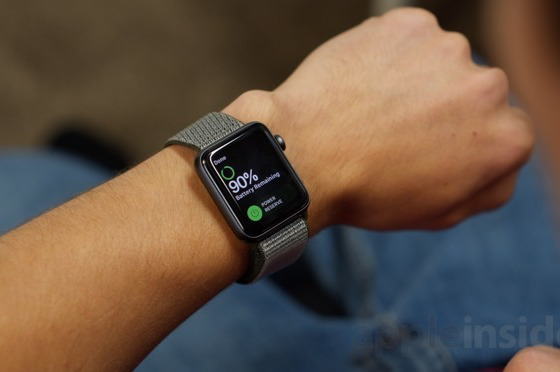 The gesture, where the user raises their wrist up and prepares to speak to the Apple Watch, is automatically treated as an intention to issue a command to Siri, all without saying the "Hey Siri" prompt beforehand. The gesture is useful for more than dismissing the need for a verbal prompt, as it is a way of interacting with the Apple Watch without needing to use both hands. Most actions still require the use of the free hand, such as by touching the screen or turning the digital crown, and while voice commands are also useful, it may not be a desirable time to use them while the user's hands are occupied with other tasks. 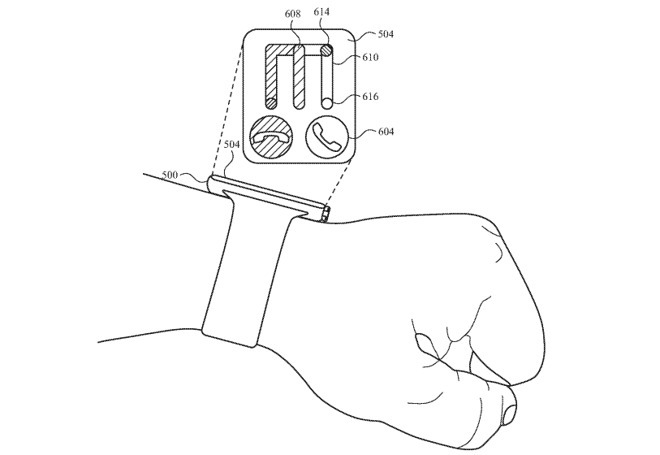 A patent application from Apple published by the U.S. Patent and Trademark Office on Thursday for "interacting with an electronic device through physical movement" describes how an Apple Watch could be controlled in a more elaborate manner than currently offered, just by tilting the wrist. The concept relies on the Apple Watch detecting the user raising their wrist, in a similar way to the current Raise to Speak gesture, but the bulk of the filing details what the users do after the detected raise. By rotating their wrist or tilting their arm, it is suggested the user can select one from multiple different actions presented to them on the display. While this could be used to prompt actions, it is more likely that such a system would be needed for when a user needs to respond to a notification, without needing to use both of their hands. 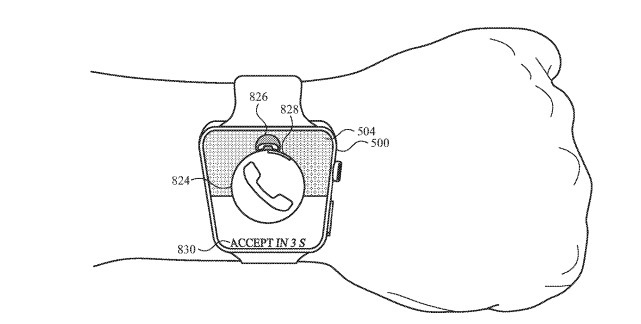 One example offered is to either accept or reject an incoming call to the Apple Watch. In one interpretation, the display has a three pronged image that works in a similar fashion to ball-in-maze puzzles. One prong of the M-shaped maze contains an indicator that can be moved to other two lanes, with each representing the response to answer the call or to hang up. By rotating the wrist back, the user can shift the indicator in the relevant direction, then tilt to determine which operation they wish to perform, and then rotate the wrist back for a specific period of time to bring the indicator all the way along the path, to confirm the action. In another way, a single-path lane with two corners can provide two different responses, such as muting a call and hanging up while in a call, with the duration appearing in the middle of the U-shaped path. The indicator can be kept between the two corners while the call is made, but can be tilted and made to reach one of the path's ends if the user requires one of the two actions to be performed. The concept can also be extended to allow for calls to be answered without the user even needing to see the screen. When a call is received, the Apple Watch could play a special ringtone consisting of high and low notes in a specific short sequence, potentially for a specific user. To answer the call, the user could perform a series of rotating "flick" movements that matches the ringtone's notes, rolling away from their face for a high note, and towards for a low note. The lifting and rotating mechanic could be employed for selecting and sending pre-made instant messages to contacts. Once the right response is highlighted, the user could keep their wrist still for a few seconds to confirm they wish the message to be sent. A further tilt mechanic could be used to answer calls by tilting towards the user and holding in place for a few seconds to start the conversation, or away and holding to reject. The same can also be performed by tilting the wrist forward or back, then holding to confirm. While Apple does produce a large number of patent filings and applications on a weekly basis, their existence isn't a guarantee that the concepts described will make their way into future products or services. They do however serve as an indication of areas where Apple has shown interest. 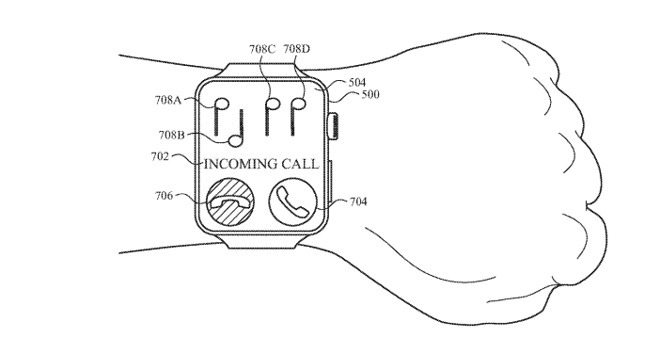 For this patent application, employing any of the ideas is plausible for Apple, as it would require only software changes made to watchOS. Since the Apple Watch has tilt sensors and accelerometers for fitness tracking and the aforementioned Raise to Speak, it already has the hardware required to implement such features in the future, if Apple decides to use them. The application is the latest in a number of other filings where Apple has examined alternative ways for users to interact with devices. For the HomePod, it suggested the creation of a depth map for a room to detect a user's hands, in order to perform gestures from anywhere in the room. Gestures have also been considered as a way to control a self-driving vehicle, with actions performed within a designated "interaction zone" able to order a vehicle to do one of a selection of maneuvers. More recently, Apple has looked into force-sensing gloves, which could allow gestures to be performed without a touch-sensitive surface or cameras monitoring the hand itself. 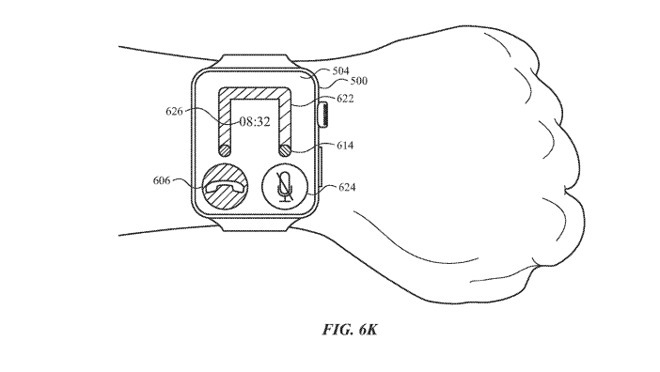 This is also not the first time Apple has considered using wrist gestures with the Apple Watch. Dating back to October 2016, one idea involved adding detectors to the band to detect changes in wrist position and hand shape that alter the stress on the band, rather than using tilt sensors.